So, what about the sinking pound? 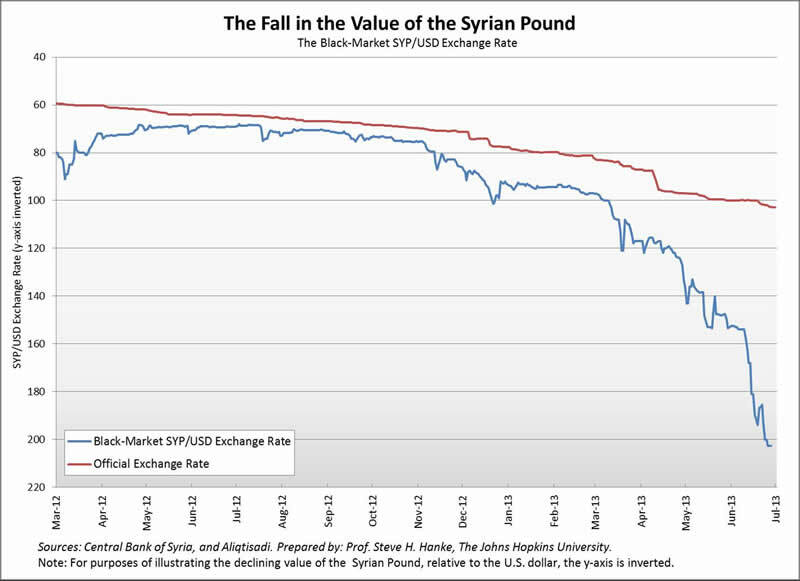 As the accompanying chart shows, the Syrian pound has lost 66.2% of its value in the last twelve months. To fill that void, I employ standard techniques to estimate Syrian’s current inflation. 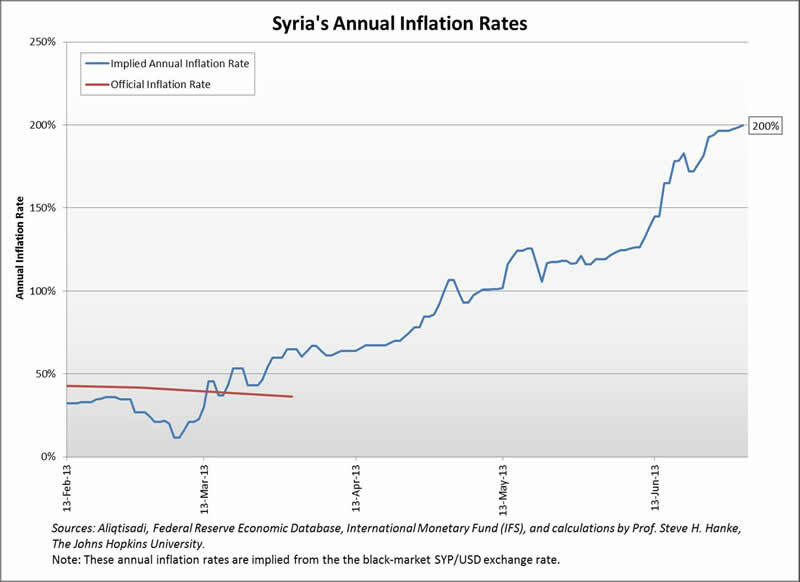 Currently, Syria is experiencing an annual inflation rate of 200% (see the accompanying chart).